When the minor diameter of an end-mill is 1.0 mm or less, handling of tools becomes difficult because of the influence of the characteristic size effect and bending of the cutting edge. Furthermore, it is hard for engineers to derive the cutting conditions that can serve as indexes in the early stage of micro end-milling. In this study, a system that can make instantaneous decisions was developed, on the basis of workpiece material-characteristics and tool shape parameters, by applying data mining techniques together with non-hierarchical and hierarchical clustering methods on micro end-mill catalog data. Slotting experiments using cemented carbide square micro end-mill were carried out to investigate the practicability of derived mining conditions under slotting of A7075 (JIS). We found that catalog mining can be used to derive the guidelines for deciding the micro end-milling conditions. H. Kodama, K. Okuda, and K. Tanaka, “Aiding of Micro End-Milling Condition Decision Using Data-Mining from Tool Catalog Data,” Int. J. Automation Technol., Vol.12, No.2, pp. 238-245, 2018. G. Bissacco, H. N. Hansen, and L. De Chiffre, “Size Effects on Surface Generation in Micro Milling of Hardened Tool Steel,” Annals of the CIRP, Vol.55, No.1, pp. 593-596, 2006. K. Hamaguchi, H. Kodama, and K. Okuda, “Tool Wear and Surface Roughness in Milling of Die Steel Using Binderless CBN End Mill,” Int. J. of Automation Technology, Vol.11, No.1, pp. 84-89, 2017. S. Wang, L. Li, N. He, R. Bian, Z. Zhan, and J. Liu, “Research on Tool Wear of PCD Micro End Mill in Machining of ZrO2 Ceramics,” Materials Science Forum, Vol.800-801, p. 2025, 2014. 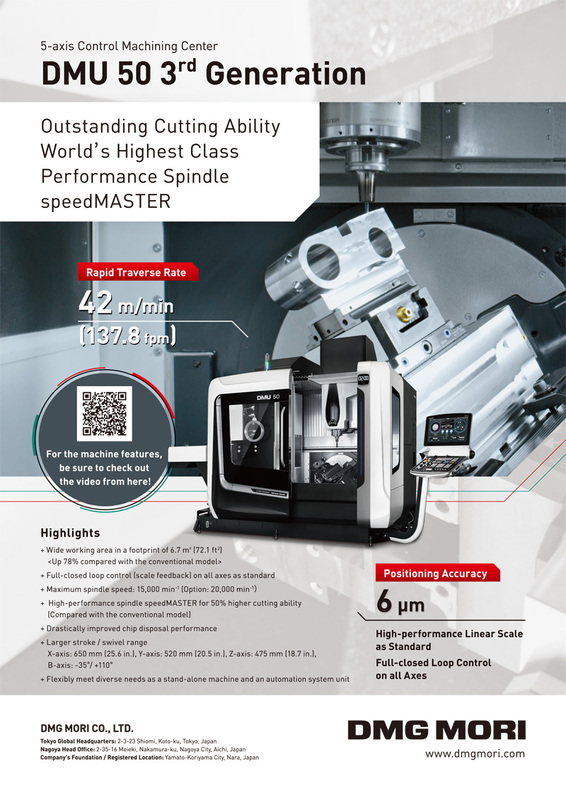 K. Nagamura and M. Mori, “High Precise Milling Process by cBN End Mills,” Int. J. of Automation Technology, Vol.6, No.4, pp. 542-545, 2012. T. Matsumura and Y. Ueki, “Milling of Micro Grooves on Glass Cylinder Surface,” Int. J. of Automation Technology, Vol.5, No.1, pp. 11-20, 2011. W. Chen, D. Huo, X. Teng, and Y. Sun, “Surface generation for Micro End Milling Considering the Minimum Chip Thickness and Tool Runout,” Procedia CIRP, Vol.58, pp. 364-369, 2017. K. Haruki et al., “Basic Study on Micro End-milling – Cutting Phenomena of Side Cutting –,” J. of SME-Japan, Vol.3, pp. 6-10, 2014. A. Mamedov, S. E. Layegh K, and I. Lazoglu, “Machining Forces and Tool Deflection in Micro Milling,” Procedia CIRP, Vol.8, pp. 147-151, 2013. X. Zhang, K. F. Ehmann, T. Yu, and W. Wang, “Cutting forces in micro-milling processes,” Int. J. of Machine Tools and Manufacture, Vol.107, pp. 21-40, 2016. H. Kodama, M. Shindou, T. Hirogaki, E. Aoyama, and K. Ogawa, “An End-milling Condition Decision Support System Using Data-mining for Difficult-to-cut Materials,” Advanced Materials Research, Vol.565, pp. 472-477, 2012. H. Kodama, T. Hirogaki, E. Aoyama, K. Ogawa, and H. Hukasawa, “Proposal of Ball-endmilling Condition Decision Methodology Using Data-mining from Tool Catalog Data,” Key Engineering Materials, Vol.523-524, pp. 386-391, 2012. H. Kodama, T. Hirogaki, E. Aoyama, and K. Ogawa, “Investigation of End-milling Condition Decision Methodology Based on Data Mining for Tool Catalog Database,” Int. J. of Automation Trchnology, Vol.6, No.1, pp. 61-74, 2012. U. Fayyad, G. P. Shapiro, and P. Smyth, “From Data Mining to Knowledge Discovery in Databases,” AI Magazine, Vol.17, No.3, pp. 37-54, 1996. J. Hosking, E. Pednault, and M. Sudan, “A Statistical Perspective on Data Mining,” Future Generation Computer Systems, Vol.13, No.2-3, pp. 117-134, 1997. C. Glymour, D. Madigan, D. Pregibon, and P. Smyth, “Statistical Inference and Data Mining,” Communication of the ACM, Vol.39, No.11, pp. 35-41, 1996. M. Tsukamoto, K. Kamei, and K. Inoue, “Concept Formation Model Using Heuristics,” Trans. of Imformation Processing Society of Japan, Vol.37, No.2, pp. 1377-1378, 1988. H. Kodama, K. Okuda, and T. Tsujimoto, “Using Catalog Data Mining in Support of Determining Micro End-milling Conditions,” Proc. of ISFA, 2016. F. Murtagh and P. Legendre, “Ward’s Hierarchical Clustering Method: Clustering Criterion and Agglomerative Algorithm,” J. of Classification, Vol.31, No.3, pp. 274-295, 2014. R. H. Myers and D. C. Montgomery, “Response Surface Method,” John Miley & Sons, Inc., 1995. H. Kodama, T. Hirogaki, E. Aoyama, and K. Ogawa, “Knowledge discovery from end-milling conditions decision methodology using data-mining – Proposal of data-mining method using non-trivial cutting tool parameters –,” J. of the Japan Society for Abrasive Tachnology, Vol.56, No.3, pp. 173-178, 2012.